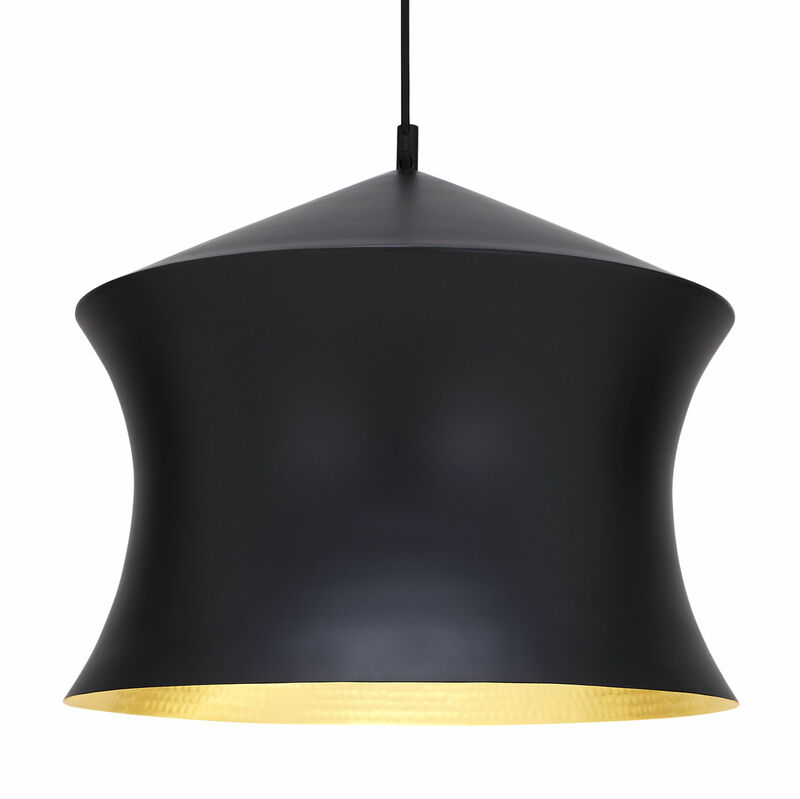 Made from hand beaten brass using traditional, rapidly vanishing skills from Indian master craftsmen, the Beat Collection consists of four different versions of pendant Lights. The water carrying vessels that are still carried on heads all over India provided the f irst inspiration for this series of pendant lights. The beaten brass ages creating a patina black external surface in contrast to the warm golden interior.